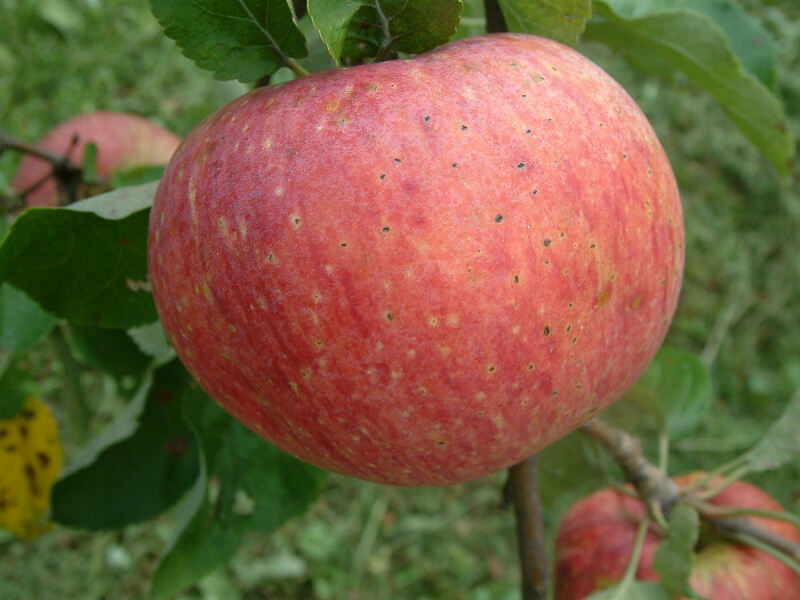 Alexander is one of several hundred apples of Russian origin brought into this country in the early 1800’s in an attempt to find cold-hardy trees suitable for commercial production. The true origins are unclear, but it was known to have been introduced into England from Russia in 1817. Once a widely popular variety in the South, it was eventually replaced by its even more popular offspring, Wolf River. Fruit can be large with thick, tough, greenish skin, mostly covered with red and carmine stripes and splashes. The white flesh is firm, coarse, and crisp. Ripens August to September and is not a good keeper.